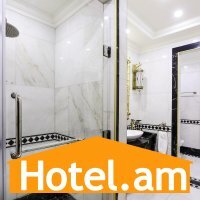 Golden Palace Hotel Yerevan is the 3rd hotel opened by Golden Palace Hotel LLC in Armenia. 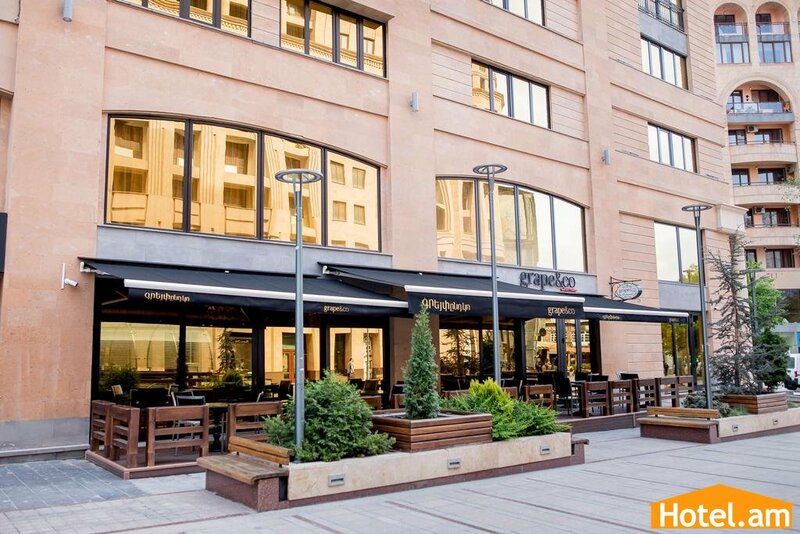 The first hotel was opened on May 2005 located on 2/2 Liberty Avenue, which is now operated under the name of Radisson Blu Hotel. 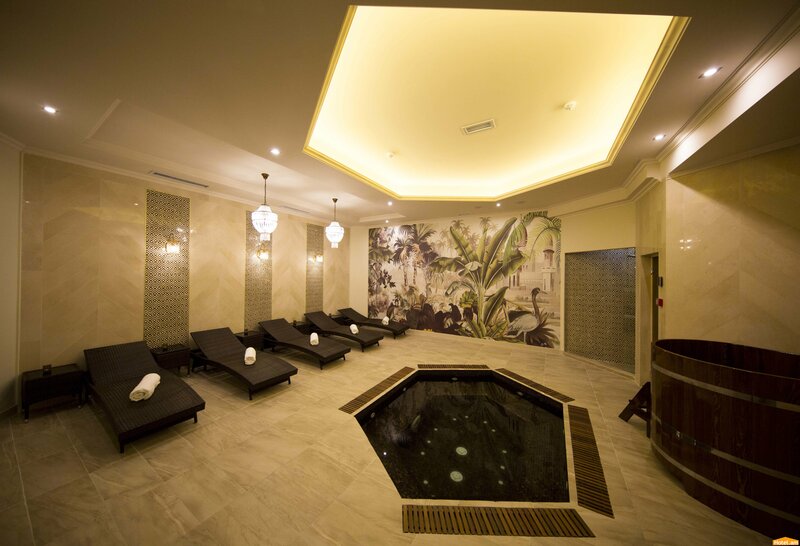 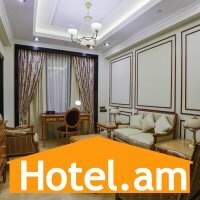 On March 2013 the company opened his second hotel in Tsagkhadzor - Golden Palace Hotel Resort SPA. 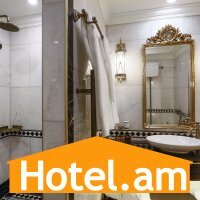 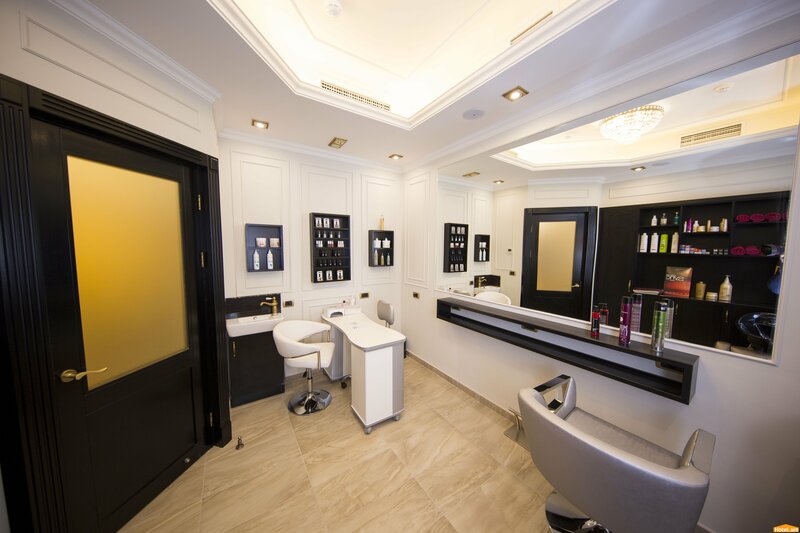 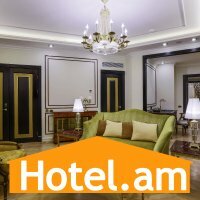 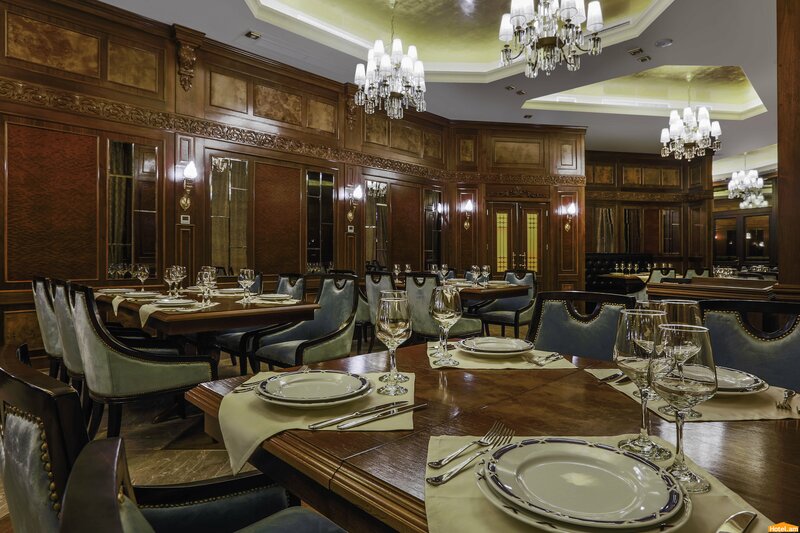 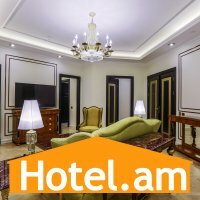 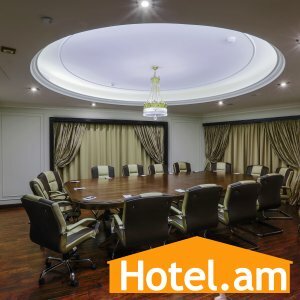 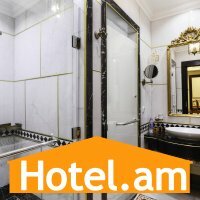 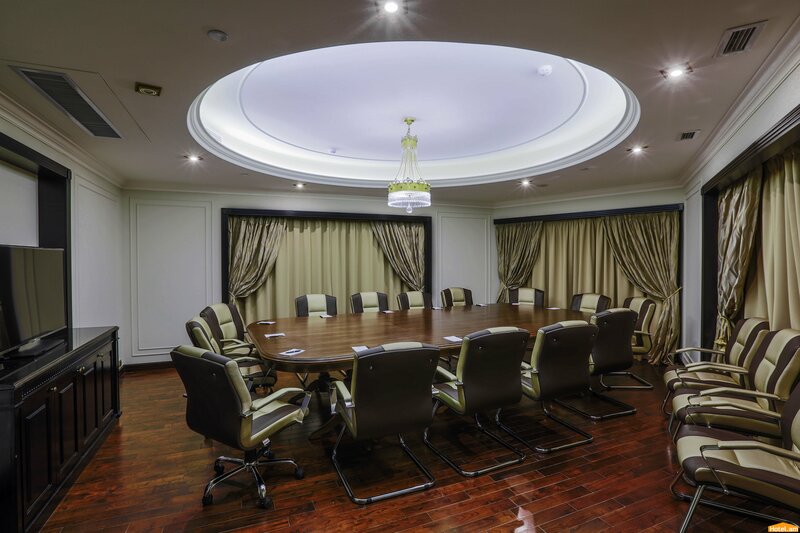 Golden Palace Hotel Yerevan started to accommodate his unique and luxury clients at the end of 2017. 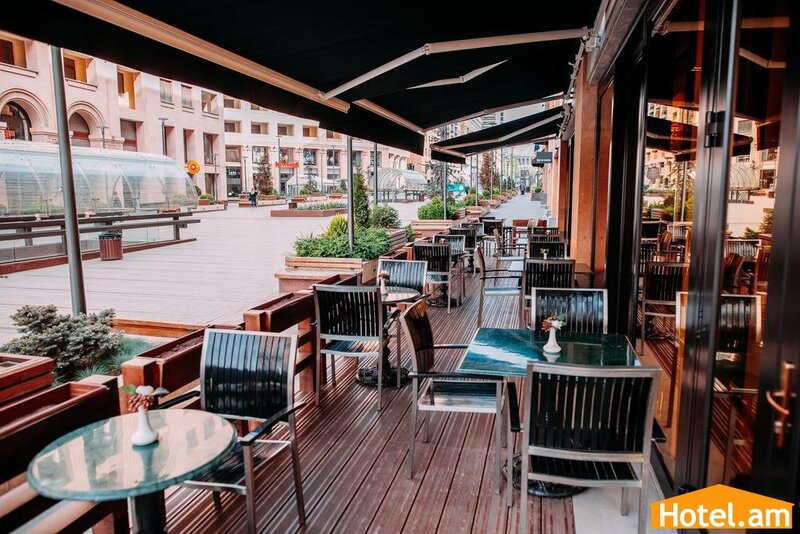 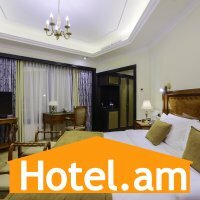 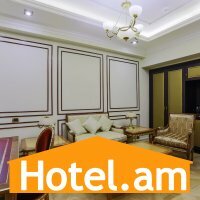 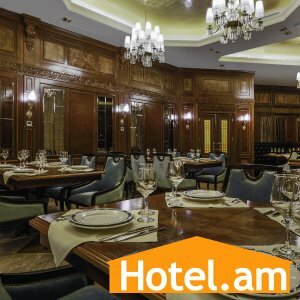 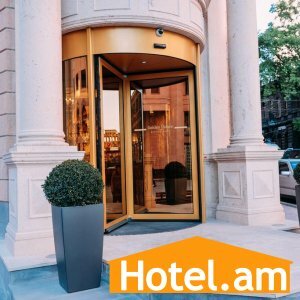 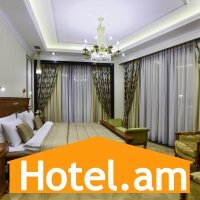 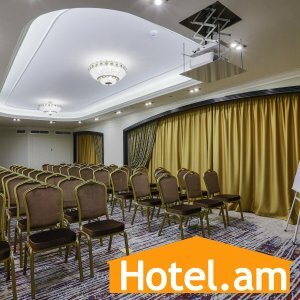 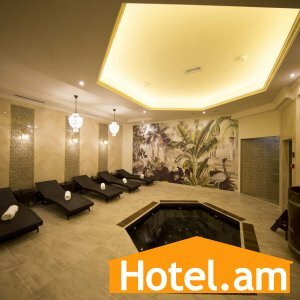 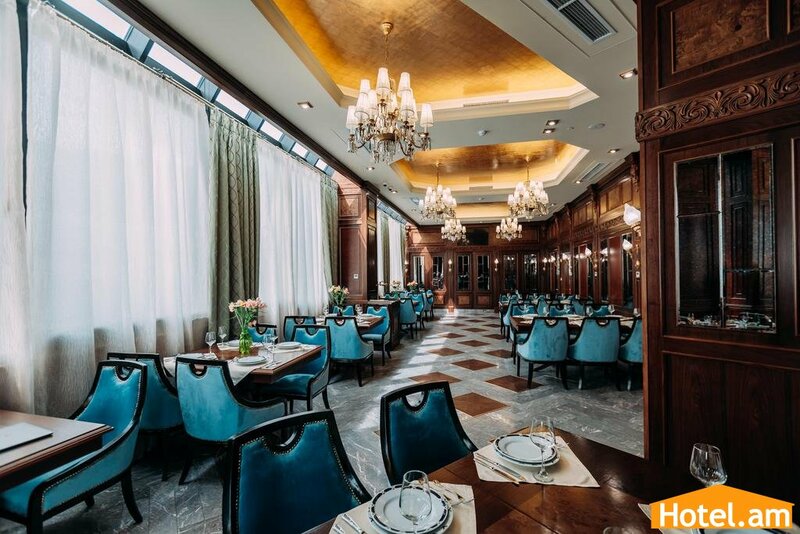 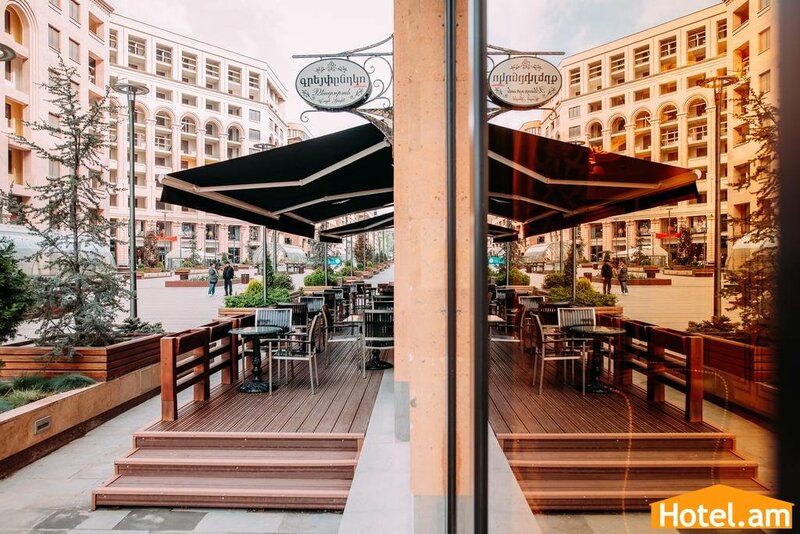 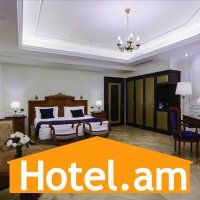 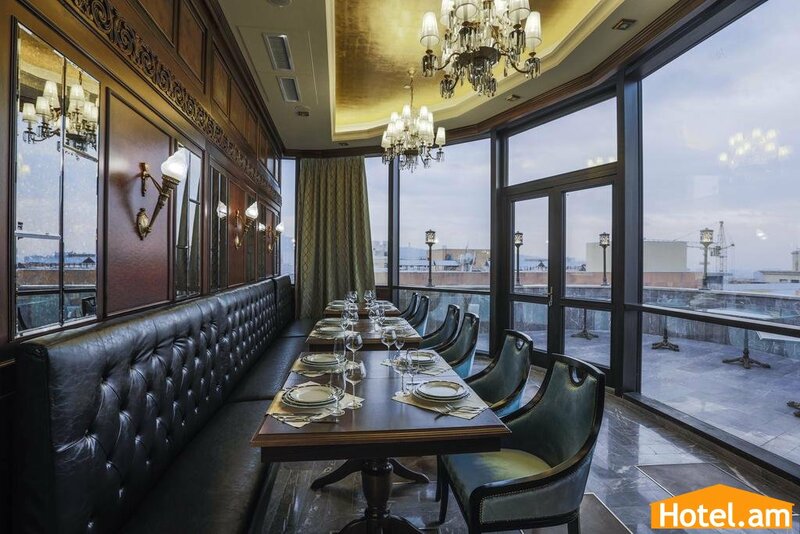 Among the finest five star hotels in Yerevan, Golden Palace Hotel Yerevan is situated in the very city center close to Republic Square with the unparalleled views of the modern and ancient Armenian streets. 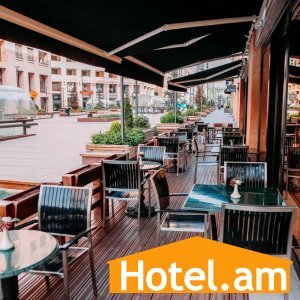 It is just a footstep from luxurious shops, restaurants and truly unique sites. 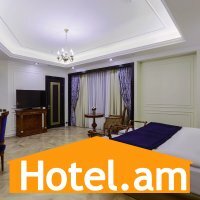 Zvartnots International Airport situated 20 minutes away from the Hotel. 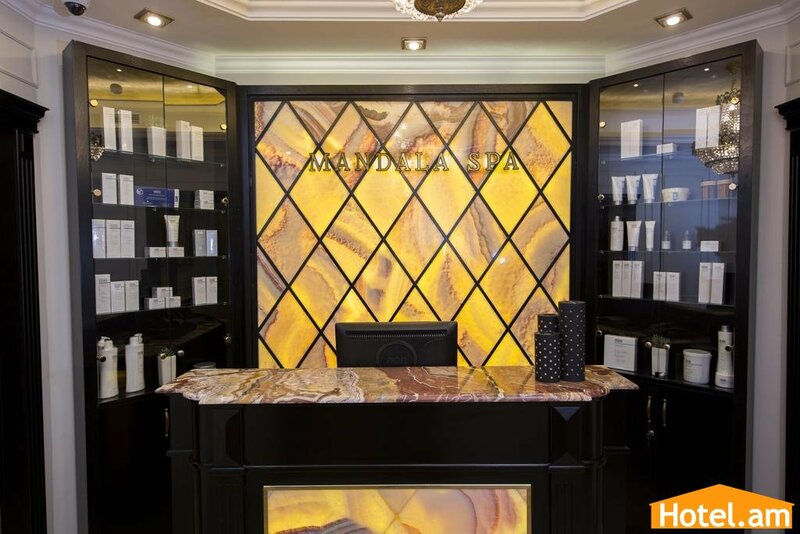 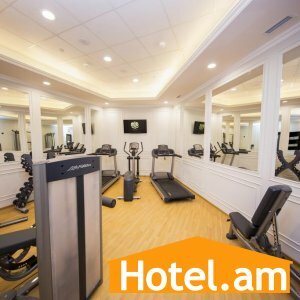 The luxurious hotel offers an impressive range of facilities and an unrivaled standard of personal service and sheer comfort. 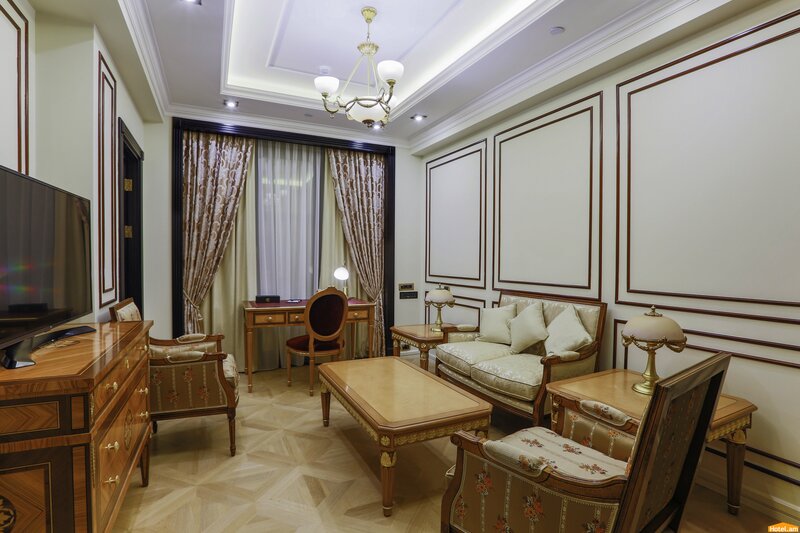 For us at Golden Palace Hotel Yerevan, service is a prime fundamental, we aim at offering a perfect stay even for the most demanded customers, and thus we commit ourselves to take care of any details to bring elegance, comfort and sumptuousness to your experience! 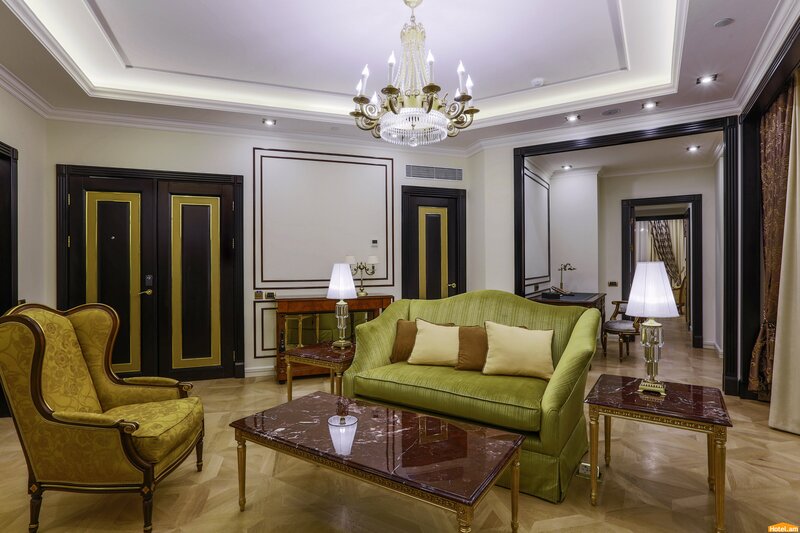 The hotel’s design is evident in the subdued colors, discreet patterns and rich fabrics. 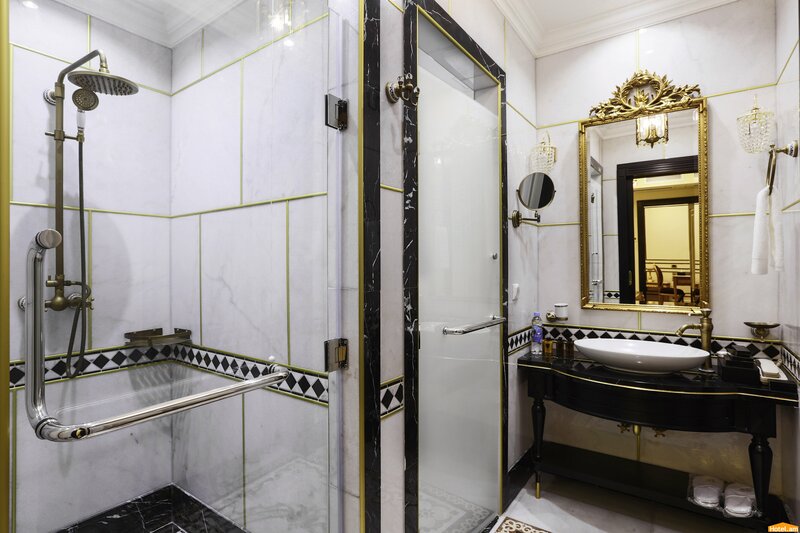 Complete with marble bathrooms and classic Italian furnishings, the soul of the Hotel lies in its charming cultural décor. 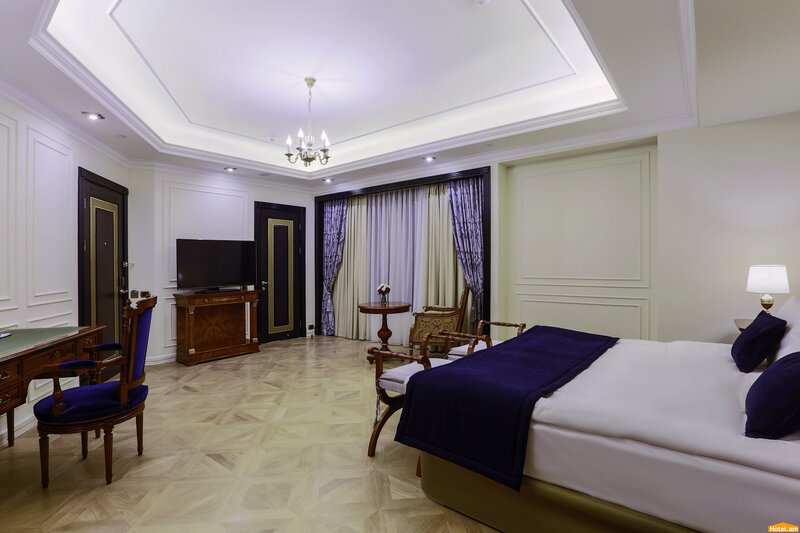 With just 36 guestrooms and suites, Golden Palace is an unusual hotel: a place where your stay is crafted around your individual needs. 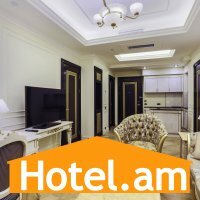 The beautifully designed (around 32.5 square-meters) rooms with featured view of the city, accommodated up to 2 guests in each guest room. 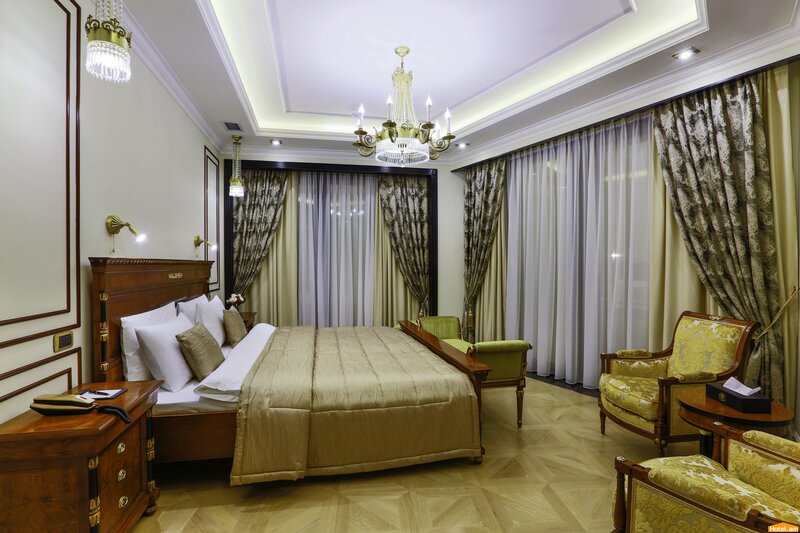 The Deluxe Room welcomes you with modern conveniences and elegant décor, plus views either on Northern Avenue or Abovyan street, 2 different sites of beautiful Yerevan. 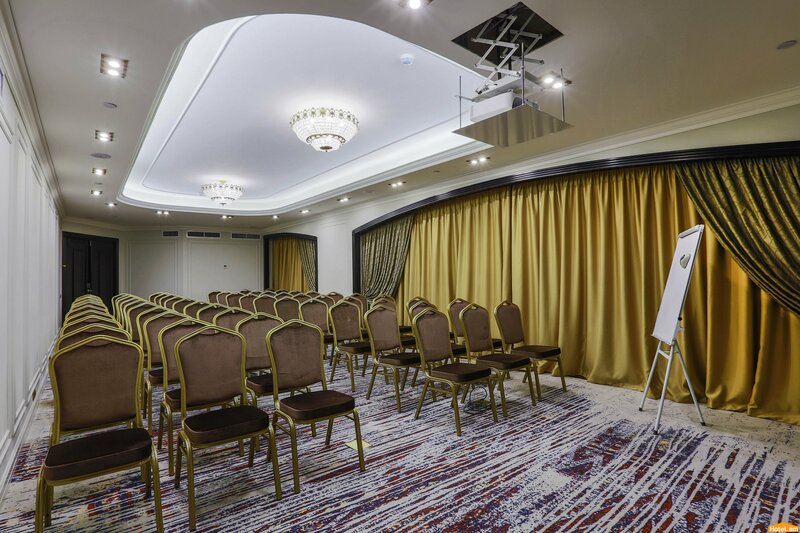 You’re never far from your family thanks to our interconnecting rooms. 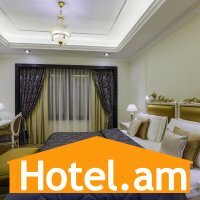 Extra Bed for 3rd person (6 age-12 age) is half price. 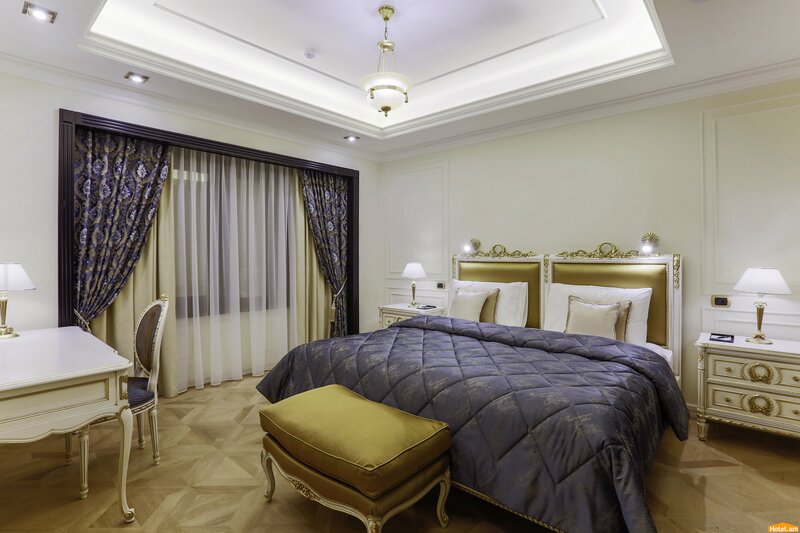 Rooms are designed to perfection in soft colors. 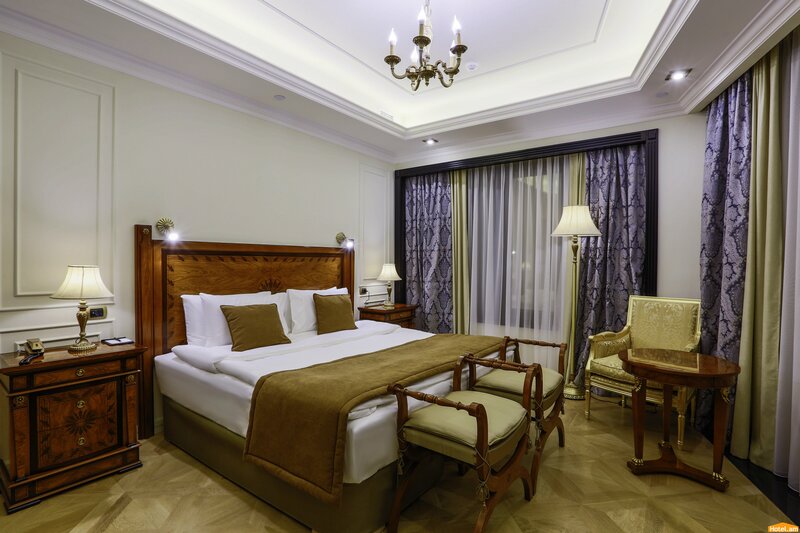 Accommodating up to 3 persons, they offer a choice of king or twin beds, peaceful views over the city’s modern and ancient parts and marble bathrooms. 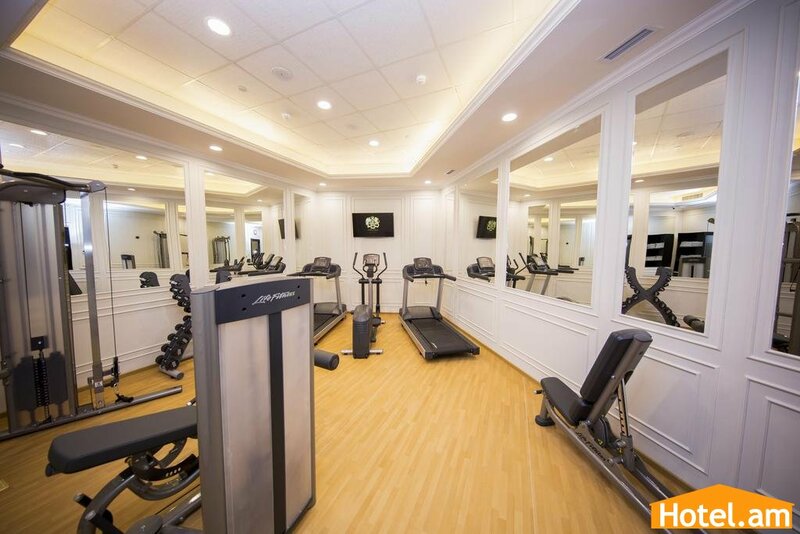 Among state-of- the-art interactive digital features, enjoy complimentary wireless internet access. 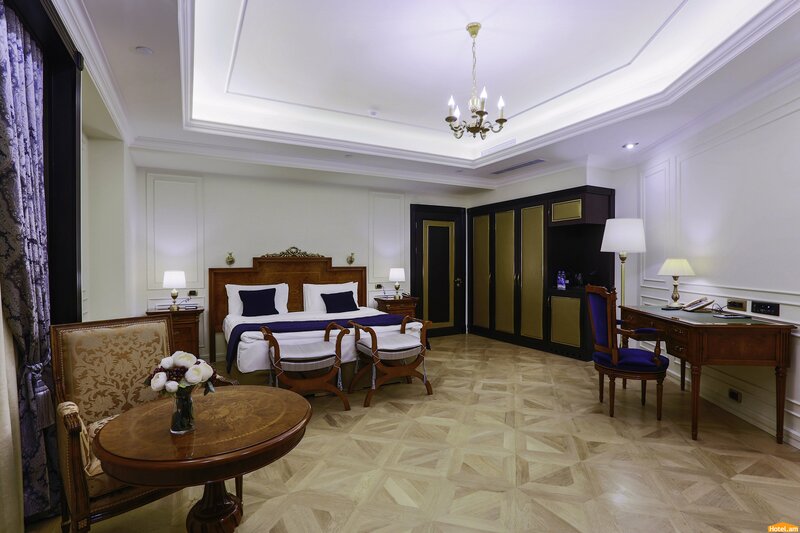 Delicately furnished with luxury touches Premier Suite rooms can accommodate up to 3 persons. 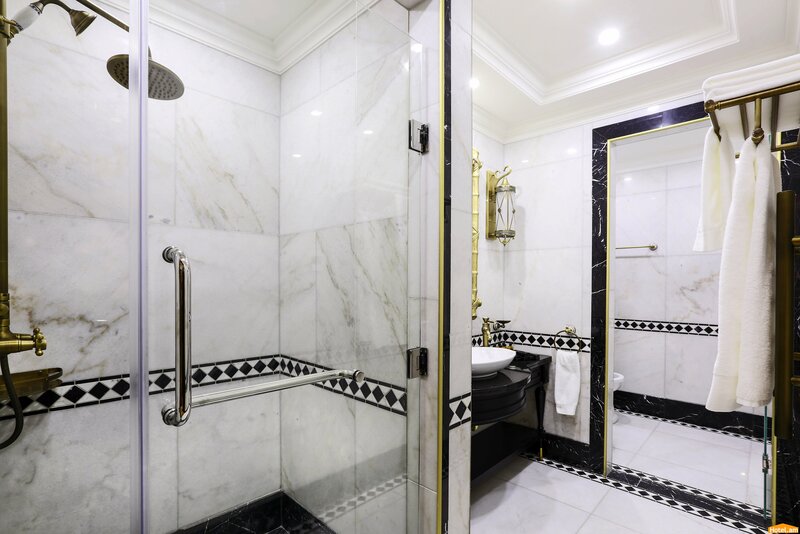 They offer a comfortable sitting area, and are appointed with sumptuous marble bathrooms with separate rain showers and inset televisions. 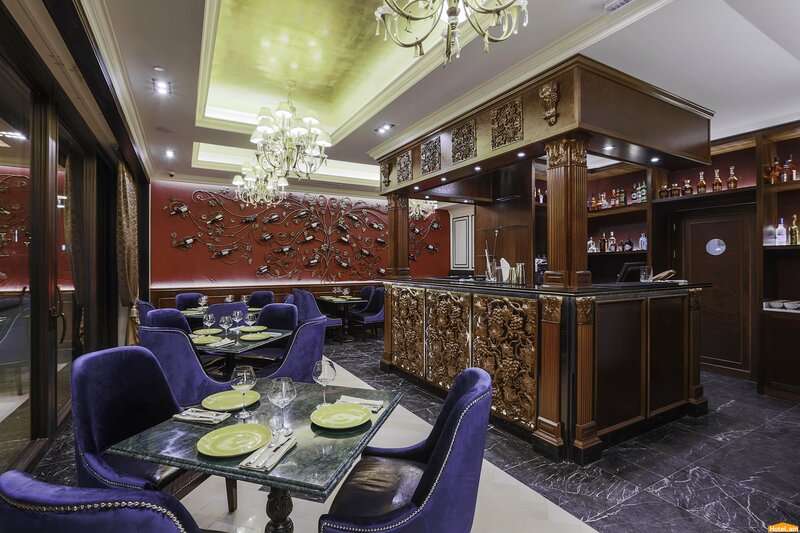 In harmony with the overall design of the hotel, the décor is refined and contemporary. 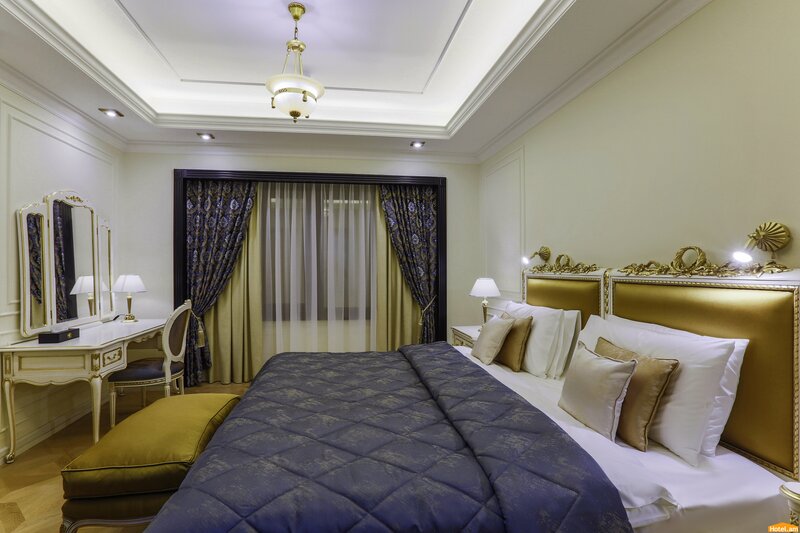 These charmingly appointed apartments are the perfect choice to indulge in the fine things in life that accompany a stay at Golden Palace Boutique Hotel. 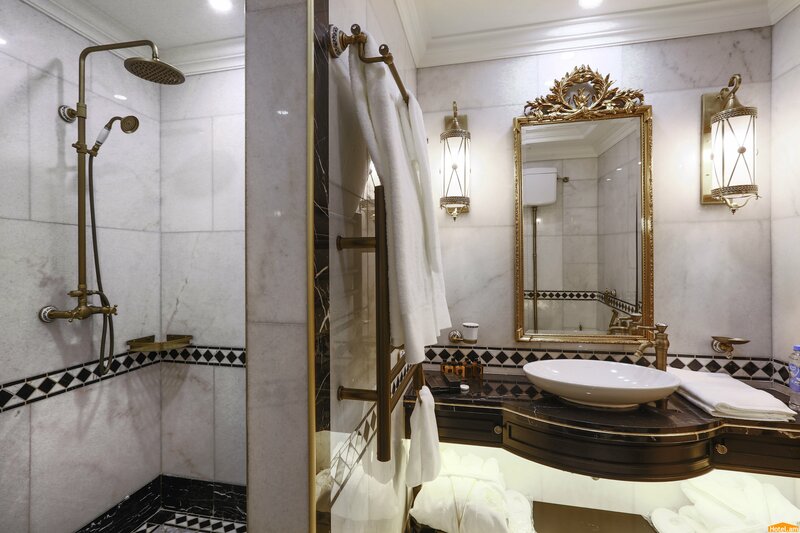 These rooms are the epitome of understated luxury and comfort. 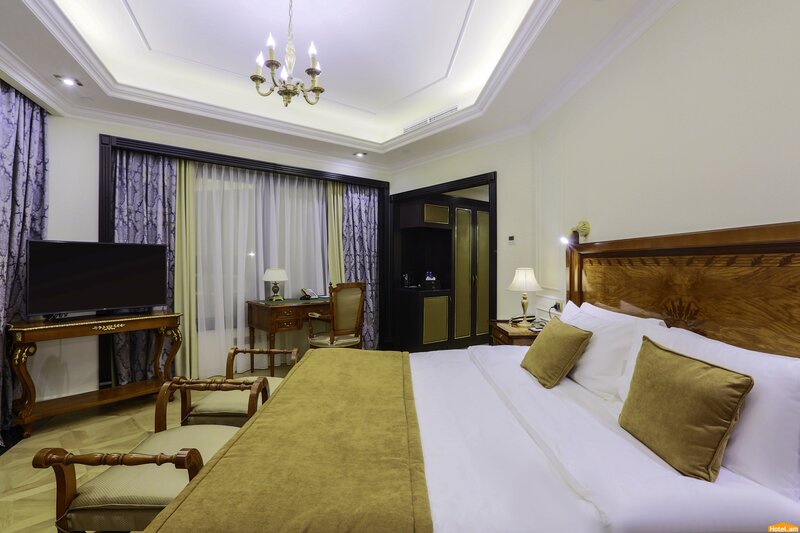 The ample space separates the bedroom from the living room, allowing for maximum privacy. 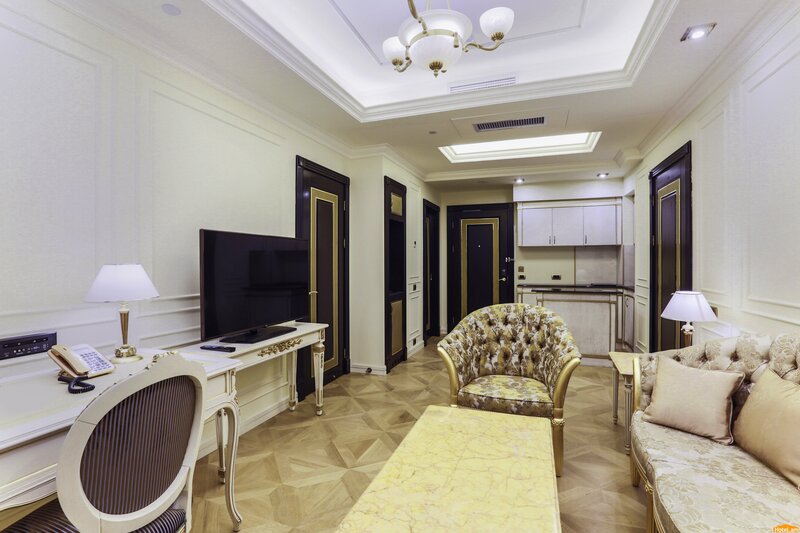 These suites comprise a living room, a kitchen and a bedroom, over an impressively ample space. 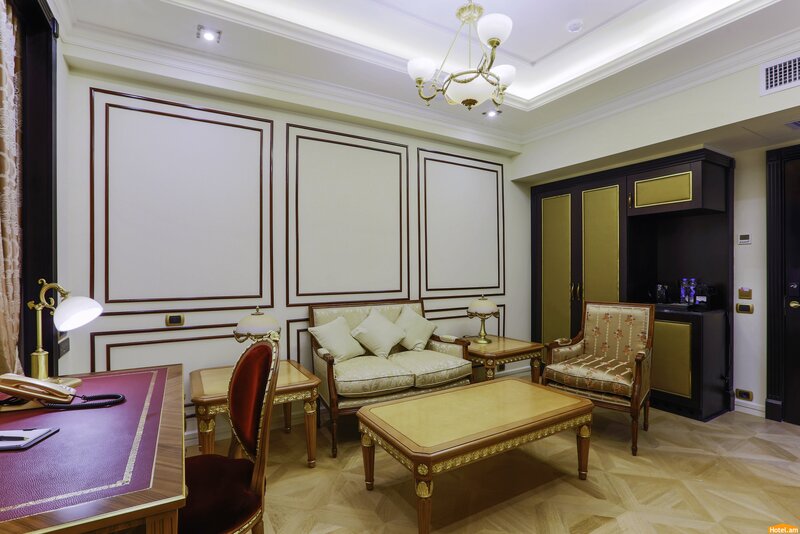 Located on the uppermost floors, the Presidential Suite is ideally designed for two adults, each having access to their own dedicated facilities and equipment. 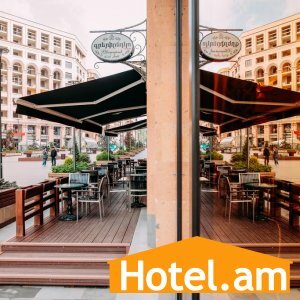 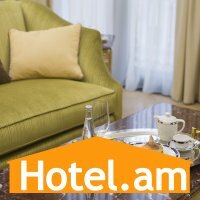 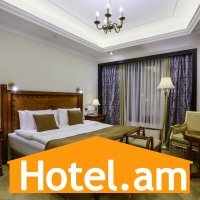 It offers you one of the most splendid hotel experiences in Yerevan with a stunning panoramic view of the Northern Avenue. 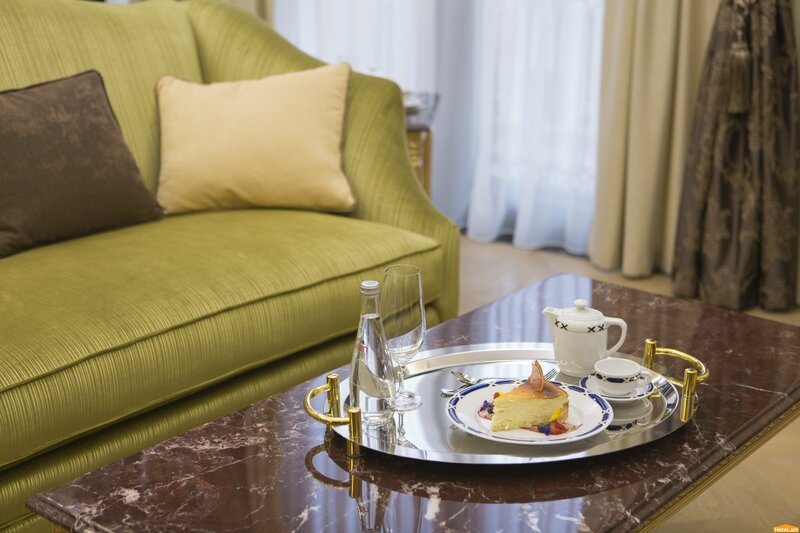 As well as various ´must-haves´ which are tailored to every need of the discerning guest. 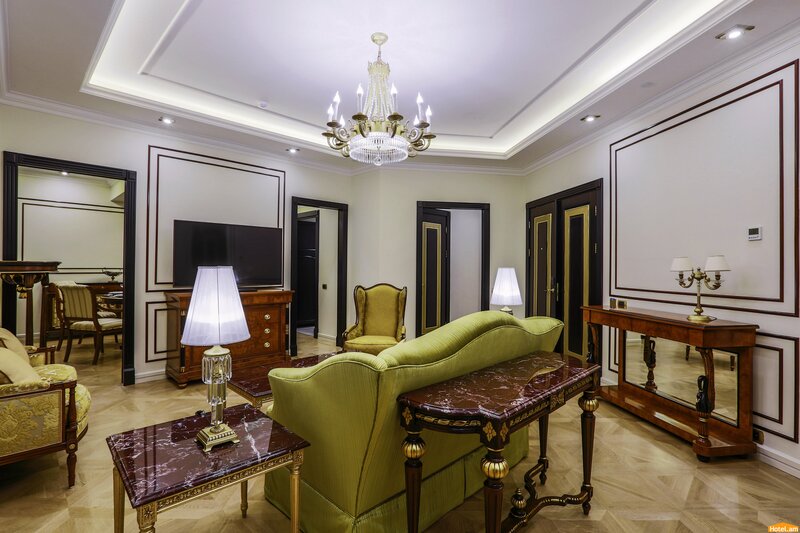 These large room offers the luxury of space and the possibility to conduct business meetings or socialize in a magnificent living room totally separate from the bedroom. 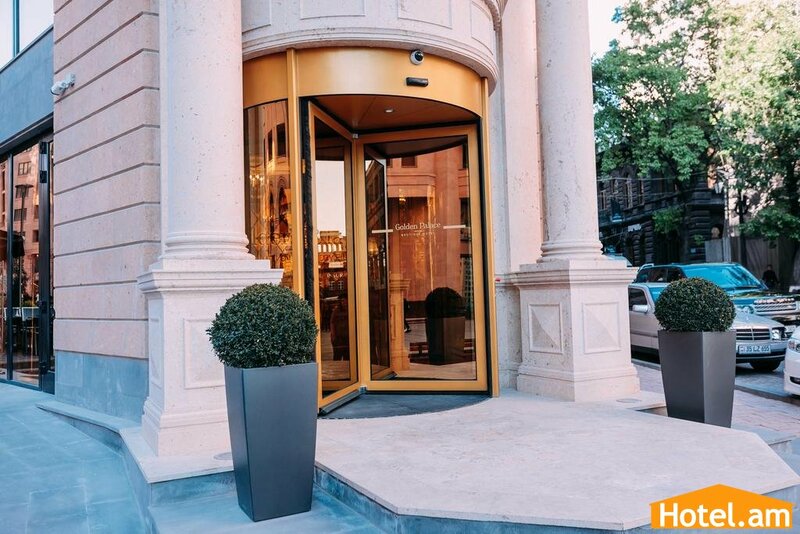 Last but not least, everything has been designed to ensure the safety and privacy of our most prestigious guests.